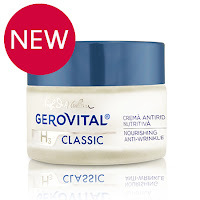 The first anti-aging brand in the world, Gerovital H3 Prof. Dr. Ana Aslan, reinvents itself with better looks and stronger anti-wrinkle capabilities. 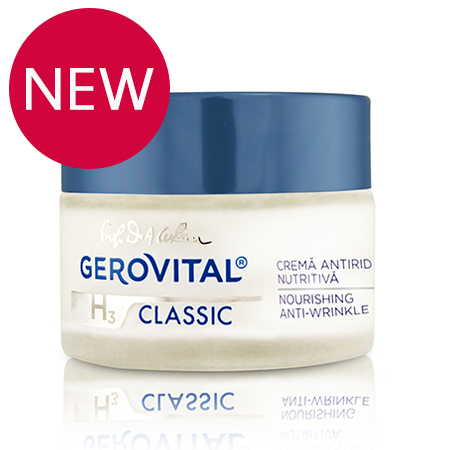 Newly launched, the Gerovital H3 Classic Eyes and Lips Contour Cream by Farmec Romania, instantly erases fine lines and wrinkles. Vitamin E - a very effective antioxidant; helps cell regeneration and removes the formed “free radicals”, preventing premature aging. Juvinity™ is one of the latest discoveries of Sederma, France, the world leader in the field of active ingredients for the cosmetic industry. 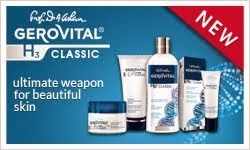 Juvinity™ is an ingredient designed to fight against signs of ageing due to cells’ biological aging. Based on a complex lipid derived from a key molecule in cell functionality, Juvinity™ smoothes wrinkles, restructures and adds density to the skin. wrinkle depth decreased by 26.5% after a month of treatment.